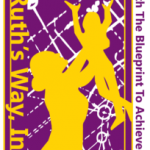 Letter of Support for Ruth’s Way, Inc. I want to thank everyone involved in this program for helping me better myself and giving me a chance to work on multiple life skills. For 8 weeks I reported to classes meeting with 5 inspirational intelligent women along with a few of my peers to learn about transitioning to adulthood. Through these 8 classes we learned how to write checks, speak publicly, manage our own finances, and how to build and strengthen relationships. Every Saturday class we had new activities to participate in like speaking in front of the group, finding the appropriate way to respond to hypothetical situations, most importantly expressing ourselves in a safe and secure environment. The women that lead the program are of all ages they each bring different knowledge being in different stages of their lives. They were able to convey ideas and lessons through sharing personal experiences with the group. The program has exposed me to things I hadn’t thought much about at my age. Everything you ladies have done to help me meet higher expectations is going to stay with me forever I appreciate all of you and hope to see you again. Mrs isis program helped me grow in every way emotionally mentally and physically being in this program helped me be more confident I learned to speak my mind how to speak at interviews most importantly just to be myself I love ruths way and everything about it it feels good having peoole by your side that cares love and help push u to accomplish your goals I wanted to give a special thanks to mrs isis fir not giving up on me and a special thanks to mrs amy for helping me to speak my mind and to mrs camilla for boosting my ego. What did I learn from ruth’s way? It’s actually really simple. To embrace ourselves and our uniqueness. It’s so simple that all of us are doing it right now. The way we talk, the color of our skin, the clothes we wear. Embracing ourselves to the fullest is something so straightforward, but also the most demanding. I would like to thank Ms. Isis, Ms. Amy and Ms. Camilla for letting me embark on this journey. Good Afternoon, my name is Tae-Jour Russell and I have had the privilege to be apart of the Ruth’s Way Program. Today I will share with you all, everything that these amazing women have done for me. The Ruth’s way program has impacted me tremendously in numerous ways. Such as, interview preparation, knowing a women’s worth, and also along with how to maintain a good image. In this program, I was able to gain the knowledge that I need when it comes to getting a job. I will know how to conduct myself as well as a physical representation. Lastly, this program has allowed me to be aware of my worth and value. As a young woman, especially in this generation, knowing my worth and value is a key necessity. As you can see, Ruth’s way program has done many things for me. Some of those being, interview preparation, helping me conduct my image and also making sure that I always know my worth and value. So, thank you all for everything you’ve done for me so that I can be successful in the future. Before I came to Ruth’s way I was extremely shy, I never really liked to put myself in any position where I would have to introduce myself to people or interact with them unless I really had to. but Mrs. Isis, Mrs. Amy, and Mrs. Camilla really helped me with that they taught me that the only person holding myself back is me. everybody in that room accepted me and never judged me and I’m extremely grateful for that. What I’ve learned is that no matter if someone tells you-you can’t be this or your never gonna be able to do that I should always prove them wrong because if I put my heart into it and I work hard enough to get it I will achieve it. Hello, Fellow Toast Masters my name is Malea Talor. I was born in Women’s Magee Hospital and raised in Turtle Creek. I am currently at the Woodland Hills High School and I’m a sophomore. I currently play softball and I cheer. In this program, I learned a lot of new things. I learned about interviews what to do and what not to do. This program helped me to be more organized and never let go of your dreams. I currently want to be a nurse and I’m going to Forbes for nursing so that’s going to become a nurse and it will give me the experience. I just had surgery on my hand because I had a black birthmark on my hand. Those can turn into skin cancer. So that was very depressing for me and my mom. But I got through it and I thank God I did. I know this program is going to help me later in life and I thank Ms. Isis, Ms. Amy, and Ms. Camilla. Thank you for coming and thank you for listening to my speech.